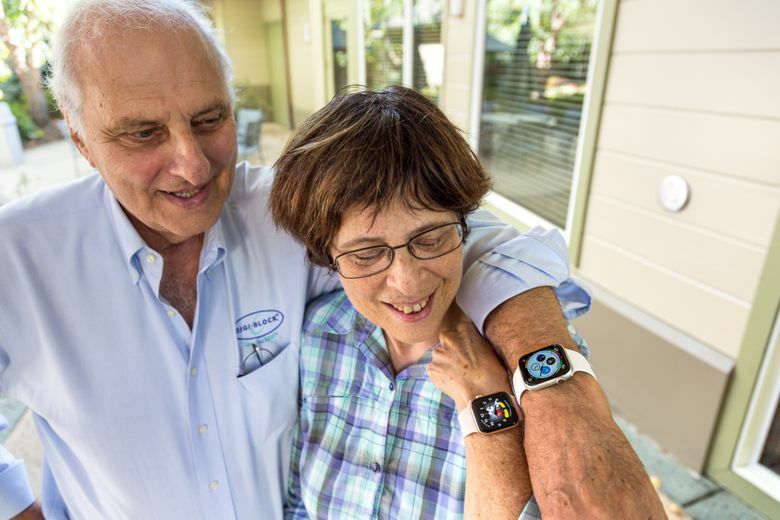 Art Salzfass and Rhona Lishinsky, members of the Rossmoor Computer Club in California, test the Apple Watch Series 4 in 40-millimeter and 44mm sizes. (Washington Post photo by Geoffrey A. Fowler). 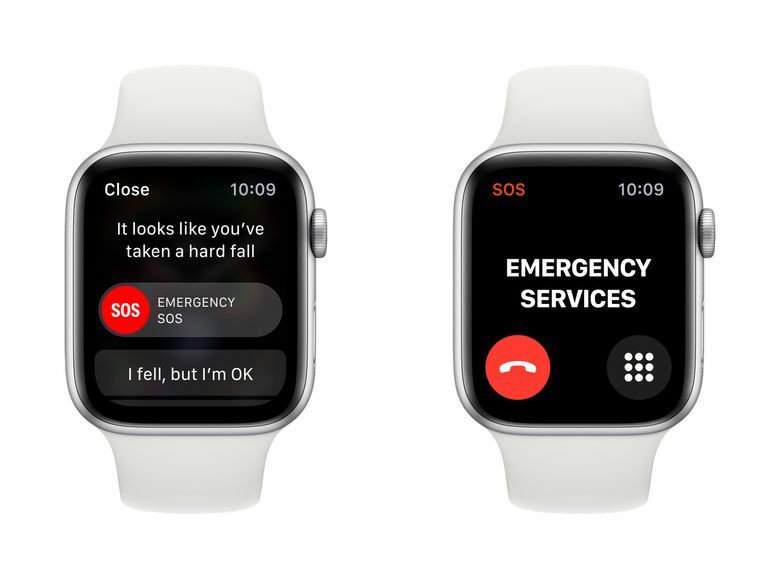 The Series 4 Apple Watch now in stores pitches itself as a Food and Drug Administration-cleared “proactive health monitor” and a “guardian” that will call help if you take a hard fall. Its screen is 30 percent larger. You won’t see Apple say “senior citizen” in ads – yet suddenly, grandmothers and abuelas, not to mention opas, are thinking about getting one. Adult children looking to keep parents safe are curious, too. Just when you think I’m critical, older adults have even less tolerance for tech that isn’t clear, reliable and affordable. There wasn’t a technophobe among my helpers. After our tests, one of them – a satisfied Apple Watch owner – decided she’d definitely upgrade. None of the others were sold. Just don’t let the hype about the new Watch’s capabilities get ahead of its reality. It’s heavier than some traditional watches and one more thing you’ll have to charge daily. Some of those new health functions have yet to prove how much they’ll help. And as a substitute for your phone, it still has a pretty small screen – and even tinier buttons. What’s important is actual falls, not stunts. Apple says it studied the falls of 2,500 people of varying ages. Yet the company hasn’t said how often it catches real falls or sets off false alarms. This isn’t like claiming the “best camera ever” on a smartphone – if Apple wants us to think of its products as life aids, it ought to show us the data. Even better: peer-reviewed studies. 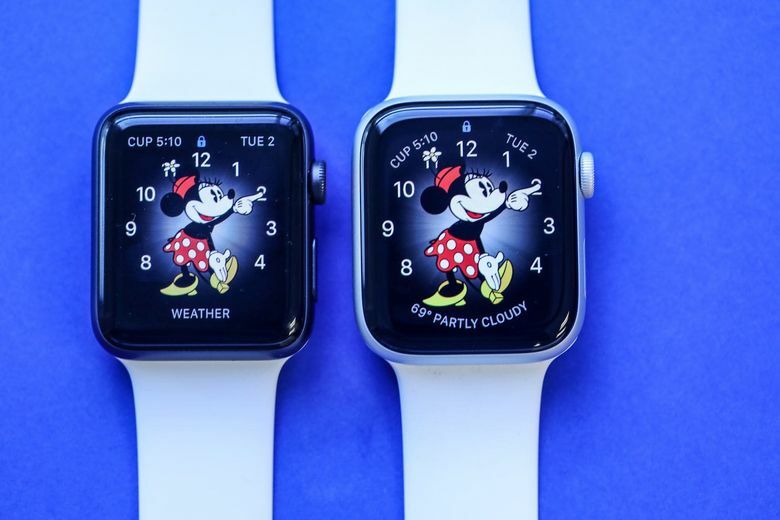 The Apple Watch has always measured pulse, and Series 4 adds the FDA-cleared electrocardiogram – a breakthrough for consumer tech. Hold your finger on the round button on the side of the Watch and it will read your heart’s electrical signals in about 30 seconds. Some cardiologists worry people taking Watch EKGs could result in a flood of unnecessary office visits by healthy people. The heart sensors can let people with heart conditions or anxiety know when they might need to take it easy. Margery Widroe, 80, who’s been using a Series 3 Apple Watch for a few months, recounted to our group a recent incident when she was at the grocery store and her Watch alerted her to a high heart rate. She took it as a valuable cue to go home and take her medication. “It could be a major help in your life,” she says. 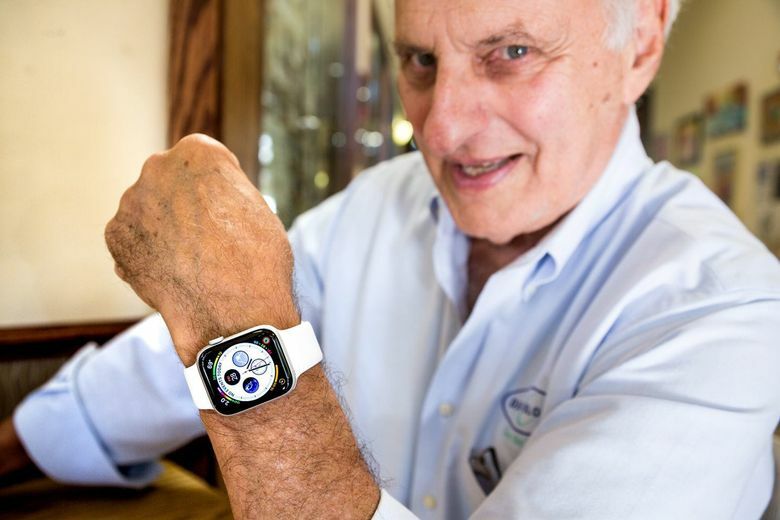 My crew’s other interest was the ability of the Apple Watch to replace – or at least supplement – a phone. You don’t have to pay $100 extra (plus $10 per month) for the cellular-model Apple Watch to place and receive calls. When you’re within range (sufficient inside most homes), the Watch uses a local wireless connection to your iPhone. The independent cellular connection, first added to last year’s model, is helpful if you want to leave your phone behind entirely – like when you go for a walk – and still receive calls and texts on your main number. Just know that not all carriers support it (such as Xfinity Mobile), and reception on the redesigned Watch can be flaky. You can speak commands – raise your wrist and say, “Call Geoffrey” – and have Siri attempt to help. That works faster on the Series 4 than past models, but the voice assistant’s answers are still pretty bumbling. Other useful functions are on physical buttons, if you know their secret code: double-tap the side button to activate Apple Pay, or press and hold the Digital Crown to summon Siri.